We specialise in bespoke guinea pig hutch designs – we can make any hutch to your own design with a run any length you want. Just ask! 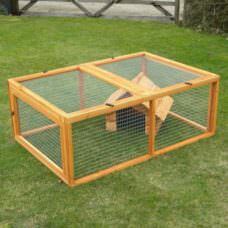 Designed to be placed inside the hutch run as a place for your pet to feel safe and secure. Will fit into any of the run models from 48″ to 96″.